Brent Friedman, one of the Star Wars: The Clone Wars writers, has recently been tweeting some details of his work on Star Wars: The Clone Wars Seasons 6, 7 and 8. As we previously mentioned on March 17, 2013 in our article "Was Clone Wars Intended for 8 Seasons?". Star Wars: The Clone Wars was planned to have eight seasons. Friedman confirmed on May 16, 2014 via Twitter that all of the episodes through season 8 were written. @JacobRegan18 All of it. And all of Season 8. Another piece of info Friedman shared was that another cool Yoda was a part of the future seasons. @JacobRegan18 Yoda arc was in the Netflix bonus content. But there was another arc planned that also featured Yoda in a cool way. He goes on to share to titles and fortune cookies of two of the four Echo centric episodes that he wrote. @JacobRegan18 OK, the fortune cookie of the 1st episode in my Echo arc (called "The Bad Batch") was: The best defense is a strong offense. @JacobRegan18 Here's the 2nd episode ("A Distant Echo") fortune cookie: Wars are not won with superior weapons, but with superior strategy. He said that he will share the other two over the next couple of days. More information can be found in other tweets at https://twitter.com/BFree63. I find it stupid that disney refuses to finish the series. Ive seen rebels and it is a joke compared to the clone wars. 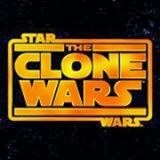 The clone wars adds depth to the star wars series while rebels makes a laughing stock of star wars. Cmon George Lucas this is your series. Dont let disney ruin it please. Come on Disney, you left us on a cliffhanger, at least add season 7 and combine season 8 into season 7 so we can have complete the story. I'm not probably the number one fan here. But Mr Lucas should have kept all rights and never let Disney have anything. I am left in suspense now that I cannot know what happened to Darth maul, etc. I wish the series was truly complete and it's not. I want it all to come full circle. I would love to see a star wars the old republic (before kenobie, Anakin existed) movie come out but i think Disney will ruin it. Currently doing my re-watch. Still sad it got canceled. I wish Disney hadn't made such a stupid move. It wrenches at my heart to know that the developers had ALL of Seasons 7 and 8 completely written, but Disney decided that there was no point. God knows Disney can afford it. They could totally have made it. But they made this decision. I'm here to tell Disney that, if they're reading, they've ruined their reputation with millions of Star Wars fans like myself. The Clone Wars was a wonderful series, with all the original characters from Episodes I, II, and III in it, bringing back cherished memories of when I first saw them. GIVE US SEASONS 7 AND 8 BACK, DISNEY!